This is one of my favorite small paintings done in the past few years. It’s the moment between the abrupt ending of a small, but heavy rain shower and the sunshine getting ready to pop out in the next few seconds. 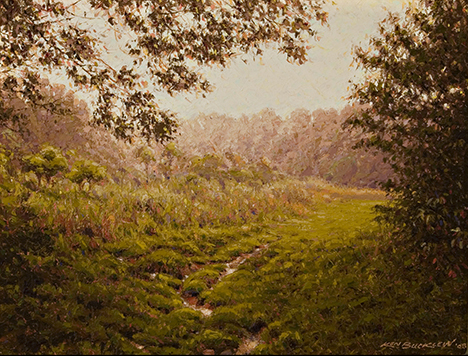 Published December 9, 2013 at 468 × 356 in Artist’s Favorites Gallery.